Today I'm sharing an easy Mexican chicken recipe. If you cook the chicken ahead of time, it can easily be a work-week meal. Lightly spray the bottom of a 13 X 9 casserole dish with a non-stick spray. 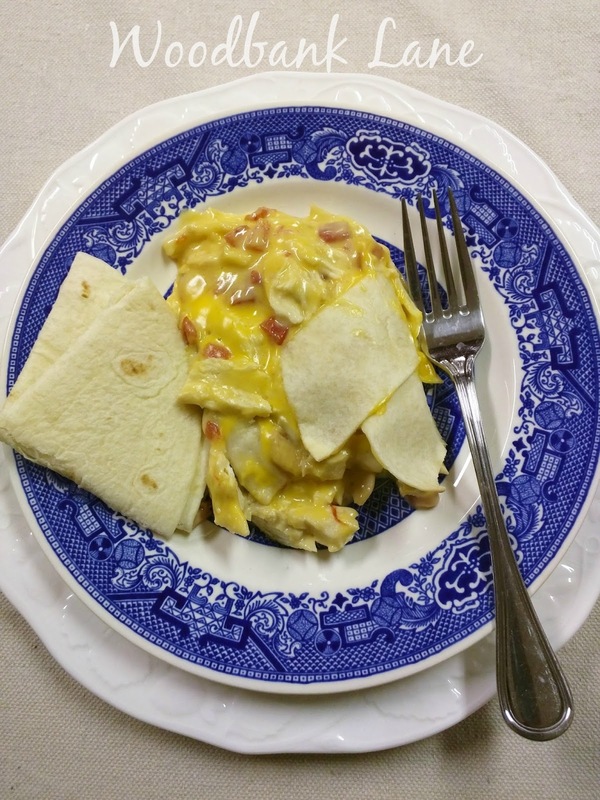 Line your dish with half of the chopped chicken. Open the tomatoes and drain one can. Combine the two cans of soup with both cans of tomatoes. Spread half of the soup mixture on top of the chicken. Add 4-6 slices of Velveeta. 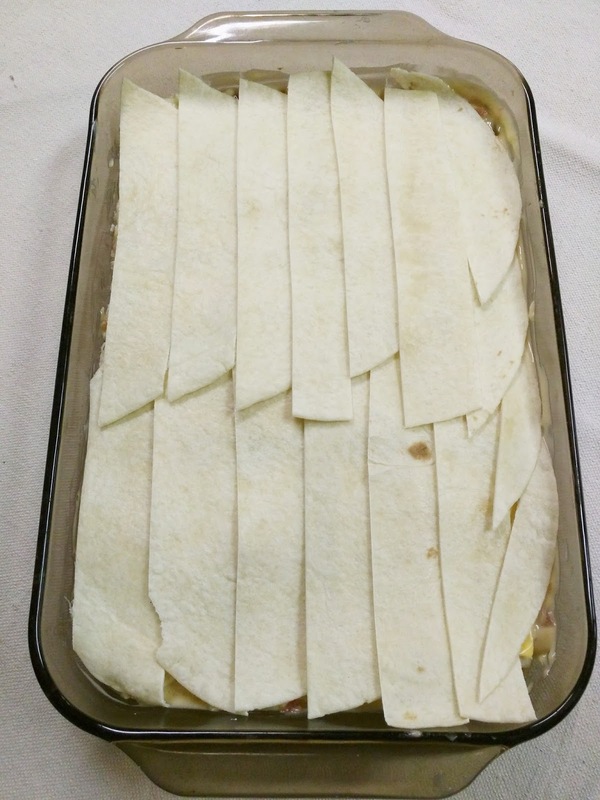 Fold and tear the tortillas into strips. I use a pizza cutter. 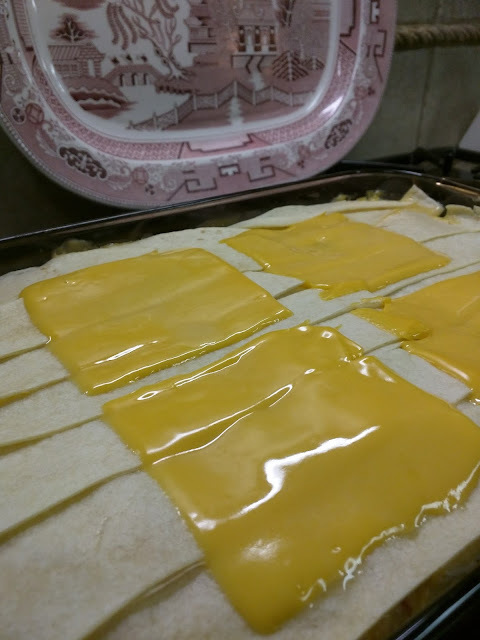 Arrange over the cheese to cover the dish. REPEAT. 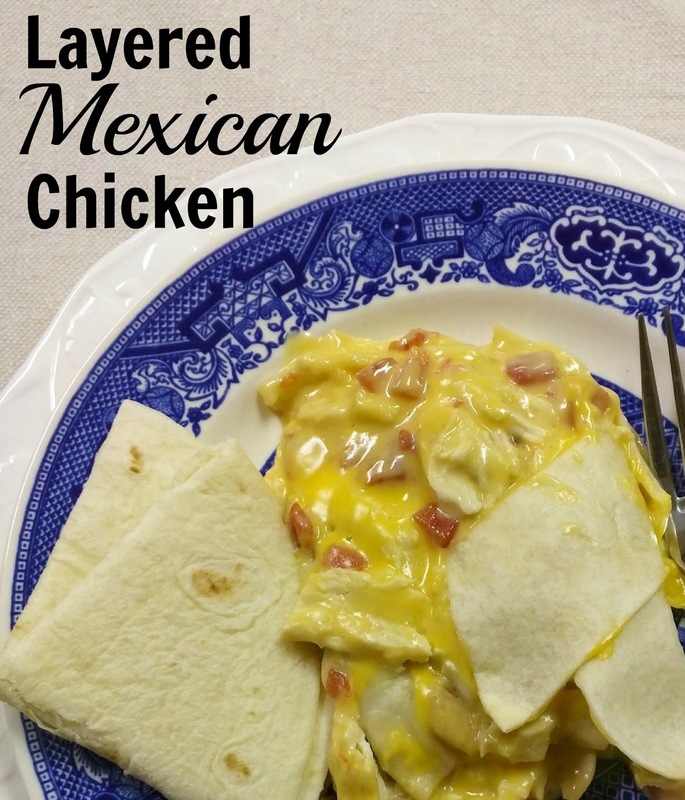 Add a layer of chicken, soup, cheese, and tortilla strips. Bake covered at 350 degrees for about 45 minutes. Remove and turn the oven up to 375 degrees. 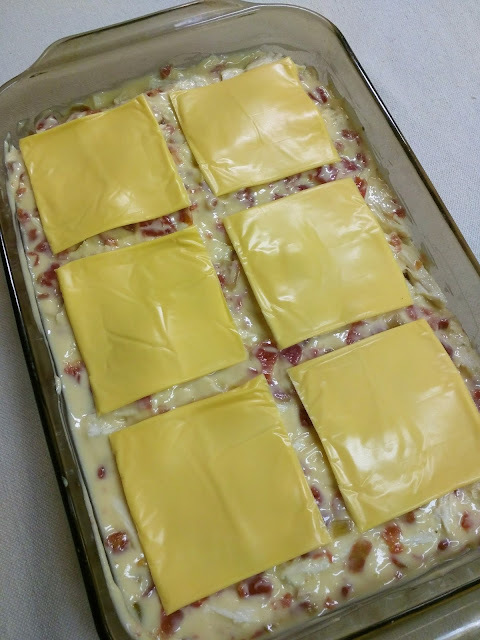 Add 4 more slices of cheese. Return to the oven for 10-15 more minutes to melt the last layer of cheese and to make sure the dish is nice and bubbly. Don't cover it this time, but watch it to make sure the top doesn't burn. Serve it with the side of your choice. I serve it with a shell and a green salad. It's one of my husband's favorites! Here are a few other chicken dishes you might like.